Growing up in the mountains of West Virginia, there was never any doubt what the name of that bubbly drink that stood proudly in our refrigerator was — it was “pop”. 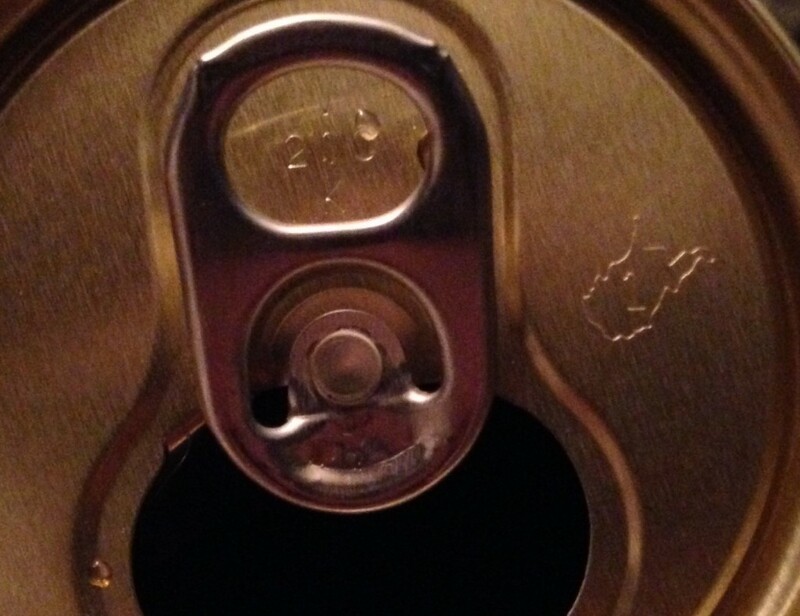 On many occasions, my father would summon me on a hot afternoon to go inside and get him a “pop” and on pizza day at school, our entire class would enjoy unlimited cans of it… cans that also had our state’s outline imprinted onto the top! It was not until I reached the ripe age of eighteen and somehow managed to stumble inside a South Carolina college classroom that I discovered the hard way that saying “pop” in the Deep South would expose one to laughter, ridicule and unending teasing. “Well what do you call it?” I asked inquisitively, unaware that there was any other name would could use to describe carbonated beverages. “Coke!” One of my Alabama friends screamed, chuckling all the while. “But it’s a Mountain Dew,” I responded. That day, I had the pleasure of learning an important life lesson. America’s geography does not just divide us politically, but also plays an important role in the actual words we use on a daily basis. Esteemed map maker Alan McConchie has placed together a map detailing where each word is used most and his map has helped explain why we say what we do! The first carbonated beverages in America appeared in New England in 1806, when Yale University chemistry professor Benjamin Silliman sold soda waters in New Haven, Connecticut. Within a few decades soda waters were being sold throughout the Northeast and by the 1830s soda fountains were appearing in New York, Philadelphia and California. These drinks were known simply as sodas and as carbonated beverages became increasingly popular in the century to come, the name stuck. Confederate Colonel John Pemberton, who was wounded in the American Civil War and became addicted to morphine, began a quest to find a substitute for the problematic drug. The prototype for what is now Coca-Cola was formulated at Pemberton’s Eagle Drug and Chemical House, in Columbus, Georgia. In the years ahead, Pemberton would market his drink as a French Wine Coca nerve tonic; however, in 1886, Atlanta and Fulton County passed prohibition legislation, to which Pemberton responded by developing a non-alcoholic version Coca-Cola. The first sales were at Jacob’s Pharmacy in Atlanta, Georgia, on May 8, 1886. It was initially sold as a patent medicine for five cents a glass at soda fountains, but the taste soon became a crave throughout the Southland and from that moment forward Coca-Cola was the standard for carbonation in Dixie. Thus, all carbonated drinks are a “coke”. While the West Coast and North East were graced with soda fountains and the South enjoyed “Coke”, a forgotten swath of America stretching from Alaska and Washington State to West Virginia were left behind, with few fountain drinks and even fewer Coca-Cola distributors. In the Upstate of South Carolina where I grew up, it was neither of these. Soft drinks were almost always referred to as “dopes”. 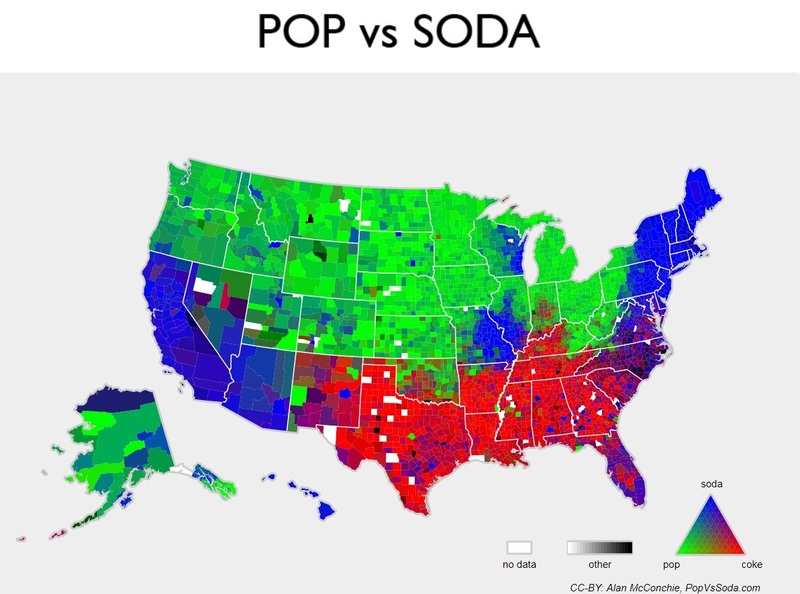 In western PA a soda is a drink with vanilla ice cream, flavoring (strawberry, vanilla, etc.) and fizzy soda water. I think this is a southern Appalachian Mountain name for a carbonated drink. I have friends native to Western NC, they call it pop, a former co-worker from northern Georgia also said pop. If anyone is a fan of the the old Andy Griffith Show, he always referred to the beverage, as pop. Actually “pop” was the sound the old wire-stopper bottles of the 19th century made when opened. Term existed long before soft drinks were ever available in cans, which only began to be used widely in the second half of the 20th century. Co cola was the word in Union, South Cackalackie!